ISRO Scientist / Engineer Previous Year Papers – Indian Space Research Organisation / Department of Space Centers conduct an exam to recruit young graduates as Scientist/Engineer (SC) almost every year. All of you must be preparing well to make your dream of working with ISRO. To help you prepare better, we are providing you previous years ISRO Question Papers for Scientist/Engineer (SC) recruitment exam. Go through these previous years papers & practice them to know the difficulty level of exam & type of questions asked. 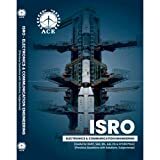 Candidates who are searching for ISRO Previous Year Papers may follow the below link to download ISRO Previous Year Papers of Electronics Engineering, Mechanical Engineering and Computer Science Engineering in PDF format from 2006 to 2019. Tell me the psu which will take their own examination for recruitment for cse in 2016. Currently we don’t have this information as we get it we will post in this forum as soon as possible.